Dionne Williamson, Founder, was overjoyed to learn that UPward Design For Life Corp. was selected as the non-profit organization the Buffalo Niagara Travel Professionals will be sponsoring this year. 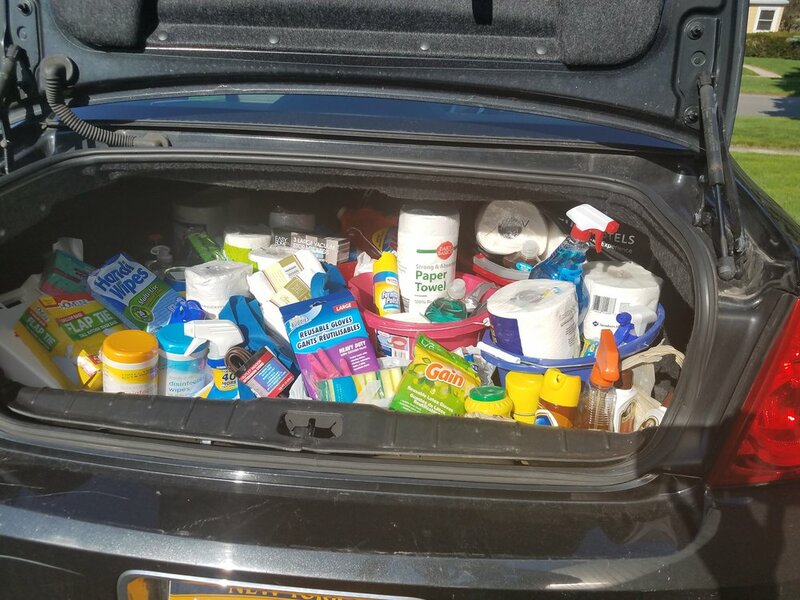 The first donation collection, by BNTP members, proved to be a success! Dionne Williamson with BNTPs' President, Verity Folan, as she receives generous donations from members of the organization. Much needed cleaning supplies that will be used by volunteers to help clean and spruce up donated furnishings and residences. Additionally cleaning supplies are also donated to the families being served so they can continue the process of keeping their home clean.